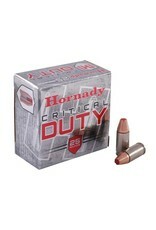 "The most consistent and reliable barrier ammo on the market"
Hornady Critical Duty Ammunition offers Law Enforcement, Tactical Professionals and those looking for a great personal protection round ammunition that wont let them down. 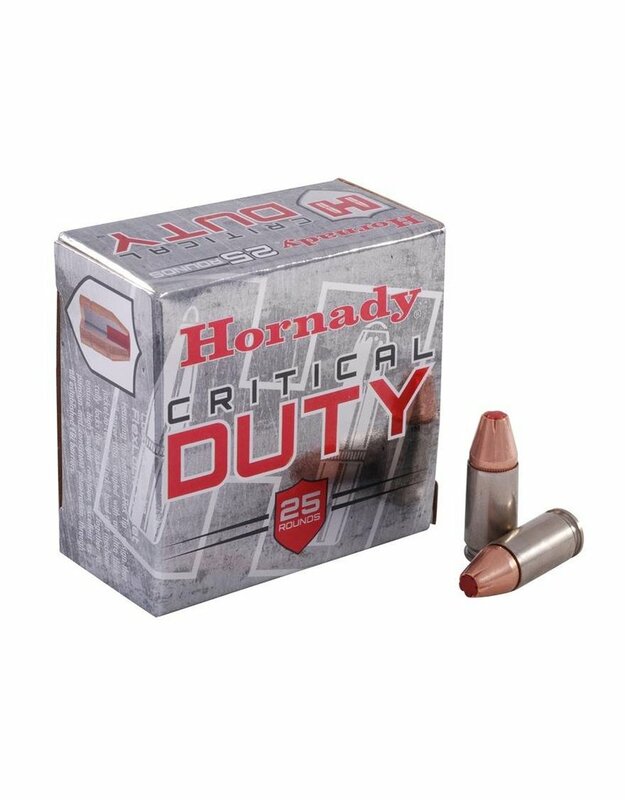 This ammunition incorporates two new revolutionary Hornady Features: Flex Tip bullets that initiate consistent expansion while preventing clogging, and the InterLock band which locks the jacket and core together preventing separation and ensuring maximum weight retention. This bullet has proven terminal performance through ALL test barriers every single time. 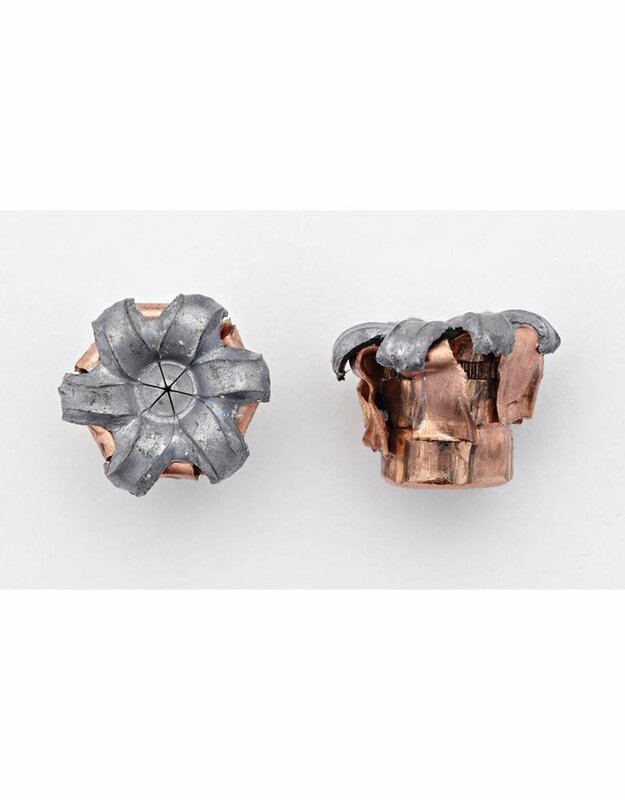 The core on this revolutionary bullet is made of high-antimony lead alloy making it tough, delivering controlled expansion and loaded in nickel plated cases to help prevent corrosion.